Children play in the new splash pad at Isaac D. Rodriguez Park on Tuesday, June 19, 2018, in Weslaco. 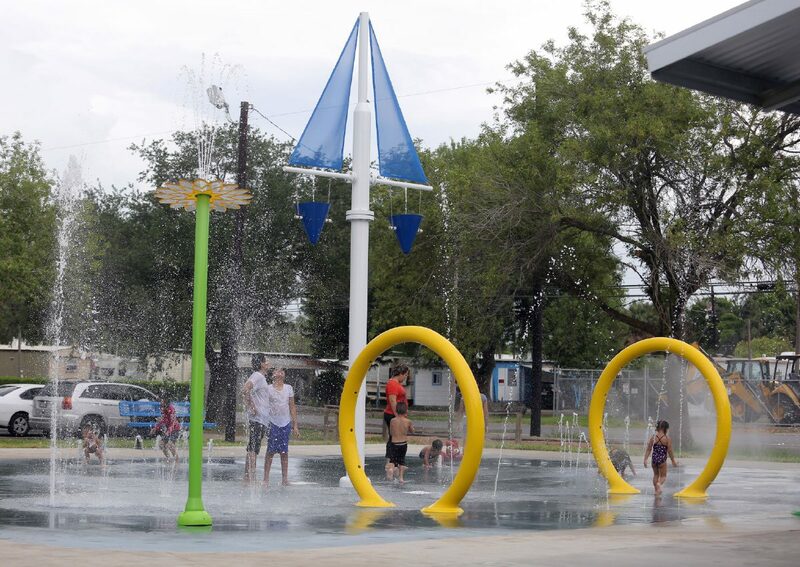 WESLACO — The city’s first splash pad opened last week at Isaac D. Rodriguez Park, the site of what once was a municipal pool. 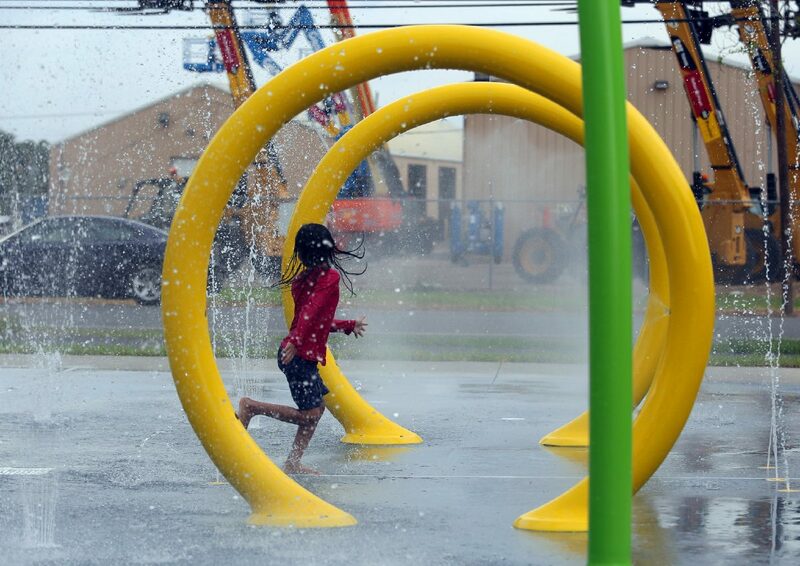 The approximately 2,000-square-foot splash pad — a recreational spot growing popular in cities throughout the Rio Grande Valley — was constructed at 1200 E. 6th Street in Weslaco. The city operates the splash pad from 11 a.m. until 8 p.m. daily and the play area is subject to temporary closure during severe weather events, like Monday when it was shut down for half an hour due to lightning nearby. The splash pad boasts several spouts and buckets which spray or dump water. Other upgrades to the park include a walking trail, disc golf course and added amenities to the skateboarding section, according to Parks & Recreation Director David Arce. The project, including the park upgrades, cost the city about $500,000, according to Arce, who said Knapp Community Care Foundation awarded the Weslaco a $200,000 grant. The city contracted San Antonio-based Park Place Recreation to build the splash pad, according to Arce. Weslaco-based Wallstreet Construction built the restrooms adjacent to the pad. The splash pad, located in District 5, and park are free and accessible to anyone. The city plans to open another splash pad at Northside Park, another play area tentatively set to be open in 2020.